Mr. Jianbin Hao is expert of the 13th Five-Year Development Plan of E-commerce in China. He has more than 10 years of work experience in the Internet and E-commerce and joined Alibaba in 2014. 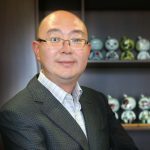 As a senior expert at AliResearch, Alibaba Group’s research arm, Mr. Hao’s areas of focus include Internet entrepreneurship and employment, intelligent logistics, and cross-border E-commerce. 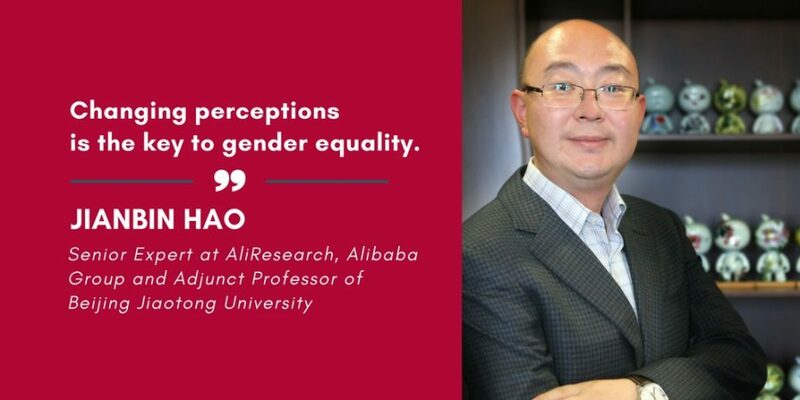 He is also the author of Alibaba’s Report on Women’s Entrepreneurship in China, released in 2015. Changing perceptions is the key to gender equality. In China, despite the remarkable progress of women in many professions, gender stereotypes persist and keep holding women back from unleashing their full potential. Although the social and economic benefits of gender diversity have been repeatedly confirmed by studies and data, the unseen barriers such as social biases and engrained beliefs are hard to break and continue to keep millions of women from rising to the top. Women are consistently valued for their looks rather than their talents, and judged on their family commitments instead of their professional achievements. This needs to change; and entrepreneurship enabled by the Internet is offering an unprecedented opportunity to Chinese women. Agricultural and industrial economies reinforce gender differences, while an information economy eliminates them. In an agrarian society, as productivity relies almost entirely on natural resources and human muscle power, men are assumed to be more efficient than women due to their superior physical strength. In an industrial society, productivity relies on assembly lines and increasing returns to scale. To compete with men, women conceal their femininity and “tough women” become a synonym for female business leaders. The digital revolution has intensified the move towards a service-based economy, in which women have a comparative advantage in producing market services. The playing field is becoming more even and the trend is only accelerating with the rise of the Experience Economy. The Internet is empowering Chinese women and truly enabling them to “hold up half the sky”. Setting up online shops becomes the first choice for millions of women entrepreneurs in China. Statistics show that in 2016, 49.4% of the active shops on Taobao – China’s largest online marketplace – were run by women. Female shop owners realized 46.7% of the total transaction volume. With an average age of 31.4, 16 years younger than their peers in traditional industries, women entrepreneurs doing business online are dynamic, customer-focused and honest. Almost 50% of storefronts with higher positive user ratings are owned by women. Among the successful women who made a big career change thanks to e-commerce platforms, there are former Olympic Gold Medalist Lao Lishi, and the celebrity ambassador for the 2008 Paralympics Zheng Ran. Online platforms offer a diversity of options to help women upgrade their career and better balance their work, family and life. The rise of She-Commerce is not just a Chinese phenomenon. Empowered by digital tools, women around the world are no longer left on the side-lines. They are venturing into sectors once dominated by men, setting free their innate creativity and thirst for learning while leveraging their feminine leadership qualities such as empathy, generosity, and networked thinking. A healthy, inclusive entrepreneurial ecosystem enabled by the digital revolution will surely drive gender equality on a global scale and make the world a more just and prosperous place.